I got on for the CW version of the North American QSO Party last weekend for about 45 minutes. I did all S&P, although some of it was the fatiguing two-radio S&P. For some reason, it wasn’t the same for me as it was last year. Maybe it’s because I didn’t prepare much in advance. Or perhaps it’s the fact that my favorite 930 is dead. Shoot, it could be that I’ve patched my antennas so many times that they’ve changed SWR minima from the CW end to the phone end of the bands! Whatever it was, I didn’t feel the rush of the contest this time. During SS CW, I suspected that this moment might be coming. Am I getting old? Tired? Lazy? Or just disinterested. I don’t know. Maybe some sunspots would help? Maybe I should liquidate all of my aging hardware to buy a K3 or an MP and tickets to the Caribbean in February and November? 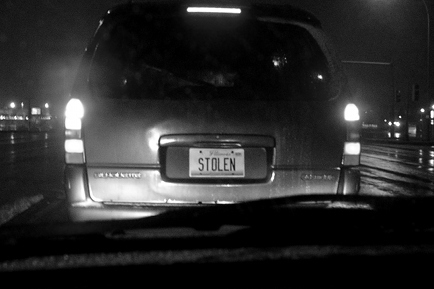 Perhaps it’s a more personal thing. Why spend so much money on something that takes me away from my family (wife right now)? Certainly, it is a social event among friends to get on the air and make some noise. But, I can do that with one radio and a wire in the trees. Do I need to keep the KT-34XA’s I plan to stack? The T2X to turn one of them? The 402BA-S? Will I ever be able to spend what it takes to put up a tower that can hold that stuff with a clear conscience? I used to look forward to having a dominating signal and pushing the state of the art in receiving. I’m not sure any of that is too important to me today. I think I’ll wait to see where we land next year before I make any decisions. But, I may be cutting back. The astute follower of my blog (Does such a person exist?) 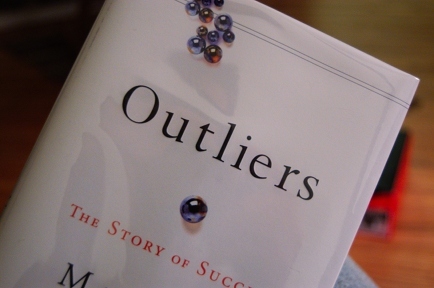 has no doubt discovered that I recently finished reading Malcolm Gladwell’s book “Outliers.” I was quite keen to read it after having read “The Tipping Point” and “Blink” previously. Although it was released in November, Sarah and I finally got our hands on a copy during a recent trip to the library. Gladwell is a good storyteller and, like the two before, this book is quite compelling. But, for the first time, I was left wondering, “Has anyone written a critical rebuttal to any of his books?” Maybe I’m resisting some of the stereotypes he makes. Perhaps the greatest one is the young man brushed aside by his professors. I was indignant that a university, or in this case, two universities, would casually let someone apparently so bright, fall between the cracks for such trivialities as re-arranging a course schedule. I suppose this has to do with building prior rapport with the faculty, which is related to Gladwell’s point that middle- and upper-class children are frequently brought up to engage authorities to shape their relationships. But, I digress. The other point that I hope is not lost in the talk of lucky breaks and heritage is the idea that success comes from hard work. Opportunities seized produce success. How do we structure our learning environments to make hard work a joy? Math, science, and engineering are learned, much like everything else as Gladwell argues, by putting your time in. Certainly, there are some things like birthday cut-offs and population trends, that we have less control over. But, we can make ourselves and our students more successful by making the journey more rewarding and interactive while retaining the rigor that invites exploration and hard work. Can we reach out to talented students whose background differs from the “successful norm”? The verdict: it’s a thought-provoking book interwoven with enough subtly obvious ideas to help you feel good about your understanding and what he’s saying. I would love to see an equally well-written rebuttal, though. You can subscribe to them via RSS by pasting the following feed into your reader: http://365.esmx.net/365/rss.xml I build the posts and feed statically (and off-line) using two Perl scripts to reduce the processing requirements on my embedded server at home. If you read these blog posts as Facebook notes, please consider subscribing via RSS since Facebook only lets me syndicate one personal RSS feed. I plan to switch the feed from the blog to the photos soon, maybe tomorrow. 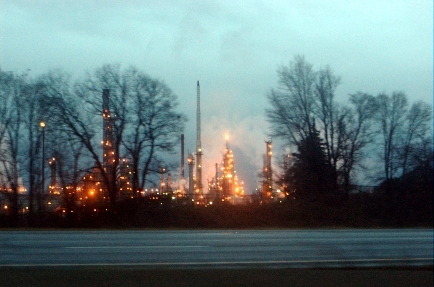 Our holiday travel schedule took us past the Marathon Ashland Petroleum refinery in Canton, Ohio. It has been a landmark on our trips to visit Mom’s family. I wouldn’t have bothered to photograph it except Dad took one on the way up. Since it was taken just before dusk on a cool, damp, winter day, it seems even more industrial. The flame near the center of the image burns almost perpetually. As a child, I always wondered why they just burned it off. It seemed as if it were burning, somebody could at least use it to fuel something, even if it was waste. You are currently browsing the archives for January, 2009.